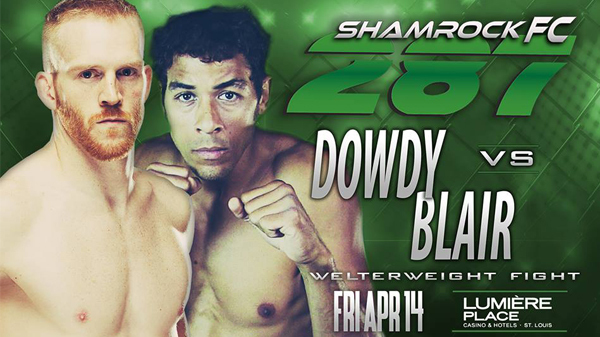 April may bring the rain, but Shamrock FC will bring the pain at Shamrock FC 287. The card features three pro bouts, two of which will be for an SFC middleweight title eliminator, and a main event featuring two fighters with steely determination. They say a cornered animal is the most dangerous. Jordan Dowdy has lost two in a row and is badly in need of a win. The two-time Bellator vet will hope to move above the .500 mark with a win thus ending his two-fight skid. After getting submitted by Kurtz this past November, Dowdy went back to the drawing board enlisting the help of the BJJ super group the HeadNod Squad. The cross-gym alliance that features black belts Kyle Watson, Ezra Lenon, Jon Menke, Luigi Fioravanti, brown belt Josh McKinney, among others has helped tighten up Dowdy's ground game and he was recently promoted to blue belt. The Collinsville native has become a bit of a weight cut and nutrition guru and has been instrumental in the fitness of several local pros. Standing across from Dowdy will be another cardio machine, Joel Blair. If you want to beat Blair you have to put him away. He's the type of fighter a promoter loves, he never stops moving forward and brings the fight until the very last bell. Not known for his submissions, Blair could take Dowdy into deep waters, that is if Dowdy isn't able to catch Blair with a kick similar to the one that stopped Raymond Gray almost a year ago, in the same venue. Dowdy's strength of schedule is slightly higher and the two share one common opponent, Adam Meredith with Blair taking Meredith into the third round, although neither were able to defeat Meredith. In one-half of the Shamrock 185-pound tournament, Dewayne Diggs will take on late replacement Aaron Highfill. Diggs was rumored to be taking on Ty Flores. 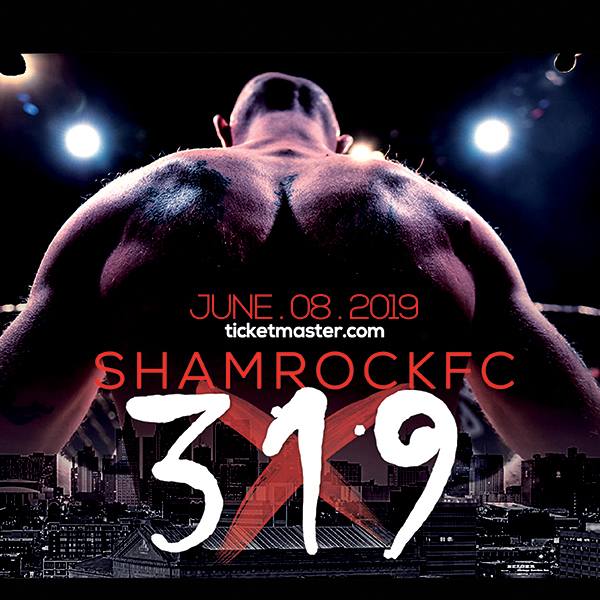 Highfill was just in the Shamrock cage this past week (losing to Jake Lindsey in a welterweight main event) and will be moving up in weight to face Diggs. Shamrock FC President Jesse Finney was quick to point out this could be a one time stop for Highfill at '85. Diggs seemingly appeared out of nowhere becoming one of the breakout fighters in 2016. In just two months as a pro, he made an impact: a surprising submission win over Kyle Walker at Shamrock FC 277 in October, and then a few weeks later submitted Jason Christensen at Bellator 157 at Scottrade. Highfill will be the toughest test for Diggs to date. If Diggs can get right to the ground his chances improve greatly as Highfill isn't known for his submission game. If Diggs chooses to keep it standing, then it could be a short night, as Highfill has dangerous, knockout power. In the other half of the tournament, Curtis Eller will face Branson, MO's Marco Hutch. Hutch aka "The Afro Samurai" out of the Branson Fight Club is undefeated at 2-0 including an impressive first round submission at RFA 46, the final RFA event before the company merged with Legacy FC. Facing Hutch is Taylorville, IL's Curtis Eller who will be making his professional debut after winning seven out of his last eight fights before making the jump to the pros. On the amateur side of things, Luis Felipe will take on Nico "Boom Boom" Jefferson. Felipe was recently featured on our "Young Guns" list as an amateur to keep your eye on. The young lightweight out of Watson Martial Arts has a mean clinch game and is slick off his back. Jefferson is a kickboxer out of Bradley, IL representing Team Genesis which is also home to former UFC welterweight Brian Ebersole. Jordan Meister will face Dylan Fuda. Meister landed a perfectly executed armbar from the bottom this past February at Lumiere and has tons of potential working with the scrappy gang of young fighters at the Hit Squad. Fuda won his first two amateur fights by submission before losing to Meister's teammate Greg Freund. Also, one to watch is a match-up between KO specialist AJ Graham and Wolve's Den top prospect Sam Paneitz. Graham (2-0) has a nine-second KO in January followed by a 2-minute stoppage in February. Paneitz has a pretty decent wrestling pedigree and his highly touted by his training partners at the Den.